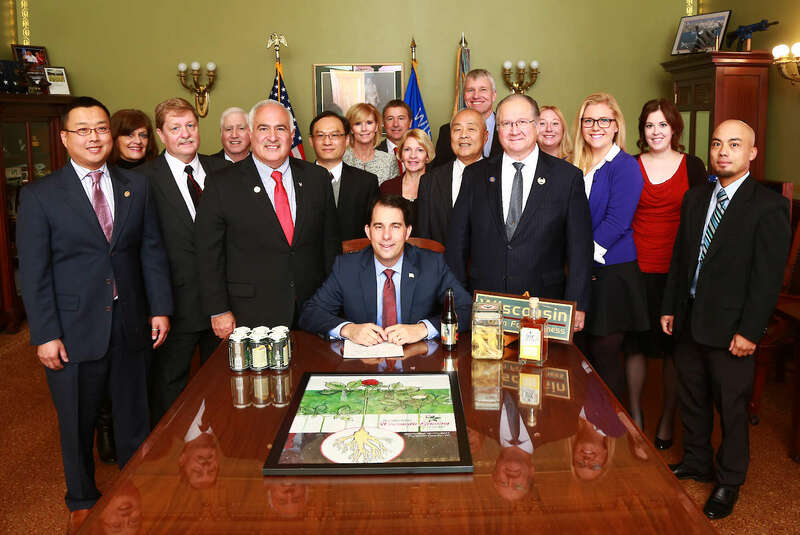 MADISON, Wis. -- Today, Governor Scott Walker signed a bill authored by Senator Jerry Petrowski (R-Marathon) and Representative John Spiros (R-Marshfield) that designates ginseng as the state herb of Wisconsin. Wisconsin is home to the most concentrated, highest-quality ginseng in the world and leads the United States in the production of ginseng, accounting for about 90 to 95 percent of total ginseng production. There are over 180 ginseng growers in central Wisconsin, bringing in millions of dollars into the Marathon County economy each year. In fact, the Department of Agriculture Trade, and Consumer Protection reports cultivated ginseng generates up to $20 million annually in gross income statewide. The rolling hills, virgin soil, and cool summers give Wisconsin farmers the unique opportunity to grow some of the best ginseng in the world. After 4-5 years of maturing, the ginseng roots are harvested in October and can be used in a variety of products including: health and beauty products, teas, beverages, candies and much more. In 2013, a study done by the Mayo Clinic showed that Wisconsin ginseng was helpful in counteracting fatigue in cancer patients.